Beautifully maintained 4 bed, 3 bath walk-out Stone Bridge Estates ranch home loaded with extras. Bright, open living area with cathedral ceiling, wood floors & new carpet. Kitchen has sliding doors leading to a generous deck overlooking a lovely yard. 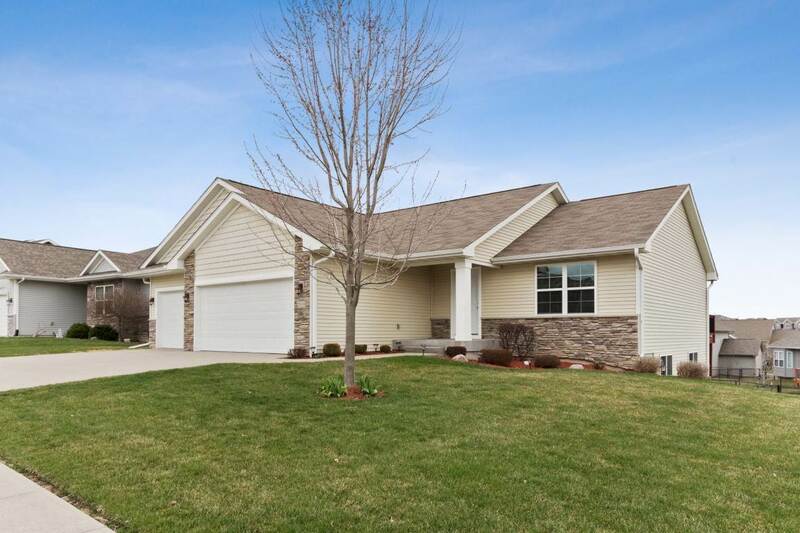 Master includes a private bath & spacious walk-in closet, and the 3rd BRM has two closets. LL has an ample family room, elegant gas fireplace, walk-out to large patio, storage area w/ shelves, 4th BRM, laundry room & bath. 3-car garage; new water heater &apos;18.